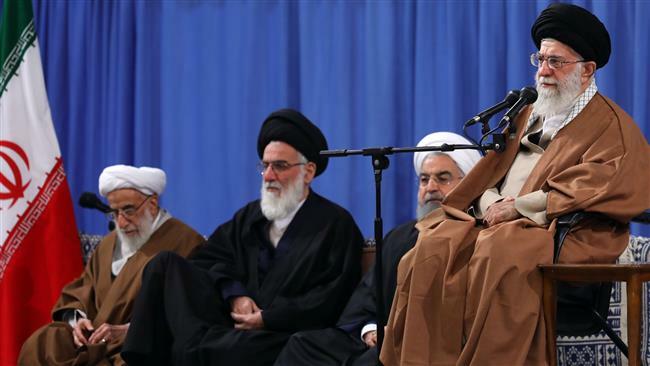 Iran’s Supreme Leader has tried to exploit Donald Trump’s declaration of Jerusalem as the capital of Israel, proclaiming that it stemmed from the “incompetence and despair” of the Islamic Republic’s “enemies”. He asserted the Muslim world would undoubtedly stand against this conspiracy and the Zionists will be dealt a heavy blow with this move and dear Palestine will at last be liberated without doubt,” Khamenei assured. It is out of despair & debility that they want to declare #AlQuds as capital of the Zionist regime. On issue of #Palestine their hands are tied & they can't achieve their goals. Victory belongs to Islamic Ummah. Palestine will be free, Palestinian nation will achieve victory. The language we use with the followers of America in the region, is the language of advice….We advise them that serving the wrongdoers of the world is to their disadvantage and as the Qur’an has commanded, partnering with wrongdoers has no future other than annihilation.